What Happens When You Stop Taking Levothyroxine? 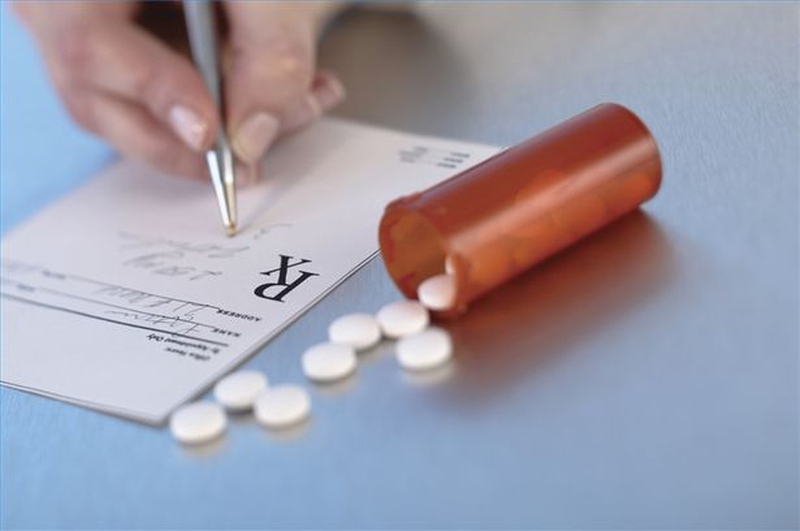 What More to Know About Taking Levothyroxine? 1 How should I take levothyroxine? The thyroid gland in your neck produces hormones that help maintain balance in your body. These hormones affect many bodily functions, including metabolism, and when the thyroid produces too much or too little of these, doctors often prescribe anti-thyroid hormones or thyroid hormone replacements to restore balance. Levothyroxine, for example, is a thyroid hormone prescribed for patients who are hypothyroid (underactive gland). However, some people fail to take their medications regularly. Some of the common reasons why people are not taking thyroid meds include perceptions of lack of improvement in their condition or presence of side effects. Others claim they cannot afford to buy medicines regularly, some forget to take them daily, while others simply do not want to take medicines at all. Then there are other individuals who would rather use natural remedies, like vitamins or herbs instead of drugs to treat their symptoms. But what happens when you stop taking levothyroxine? Doctors prescribe levothyroxine as a replacement for a thyroid hormone that is normally produced in the gland to regulate your body's metabolism. It is taken when the underactive thyroid does not produce enough hormone, causing symptoms of hypothyroidism. Hypothyroidism is a condition characterized by low thyroid hormone production. Levothyroxine is used to replace the natural thyroid hormone and can also be used prevent goiter. Goiter is a condition characterized by an enlargement of the thyroid gland, which may be caused by hormone imbalance, surgery, radiation treatment, or cancer. Your body needs thyroid hormones to function properly. If you have hypothyroidism, you may feel tired all the time and have a puffy face, show heartbeat, and dry skin. You may feel cold even when it is not cold, be constipated all the time, and notice significant weight gain. You need to take your medication (levothyroxine) regularly to correct these imbalances, just like insulin-dependent diabetics need insulin medications. What happens when you stop taking levothyroxine? Levothyroxine restores balance and improves your symptoms, so if you are not taking thyroid meds, your symptoms may recur. You may also experience low energy and depression. Not taking thyroid meds can also lead to myxedema, a condition characterized by decreased breathing, low blood pressure, low body temperature, coma, and even death. This occurs when your thyroid hormone level is extremely low. If your doctor prescribes levothryoxine for you to function normally, take it as directed and do not stop without consulting your doctor first. How should I take levothyroxine? You must take your meds as prescribed by your doctor and follow the directions written on the prescription label. Do not take your medicine in smaller or larger doses or use them longer than what was recommended. Report any side effects to your doctor who may change your dose to get best results. Take levothyroxine (Levoxyl) on an empty stomach, with a full glass of water. Levoxyl tablets dissolve quickly and can swell in the throat, which can possibly cause choking. Take your medicine preferably 30 minutes before you eat breakfast. Try to take it at the same time daily and follow dosing instructions. Store at away from moisture and heat, preferably at room temperature. The full effects of levothyroxine may kick in after several weeks, so take it daily. Continue using it even after you feel improvement in your condition. You will probably need to use it for the rest of your life as a thyroid replacement hormone. Take one dose as soon as you remember you have missed your scheduled dose. However, you can skip the missed dose if it is almost time to take the next scheduled dose. Do not double your dose to make up for a missed dose. Symptoms of levothyroxine overdose may include headache, tremors, leg cramps, nervousness or irritability, shortness of breath, chest pain, and fast/ pounding heartbeats. Call 1-800-222-1222 (Poison Help line) or get emergency medical attention. Avoid taking medicines that can reduce the effectiveness of levothyroxine. These include calcium carbonate, aluminum or magnesium-containing antacids, cholestyramine, colestipol, sucralfate, iron supplements, and sodium polystyrene sulfonate. If you have to use any of these drugs, take them 4 hours before or after you take your levothyroxine. Tell your doctor about taking levothyroxine before he prescribes other drugs. Server responsed at: 04/25/2019 8:49 a.m.